Without a doubt visiting the Nuremberg Toy Fair is the highlight of my year because it’s the one opportunity to see the newest and most beautiful children’s play dolls available to buy and all this with an opportunity to talk to the artists and creators of the dolls and the collections. I love dolls and they bring a lot of joy to my life so it is the most pleasurable work trip that could ever be possible! All that with the fun of a shopping spree, and the social side of an annual reunion and I’m sure you get the idea that going to the Nuremberg Toy Fair is about as good as any hobby holiday could be! This year I was blown away by the design and quality of doll merchandise available for children – the love that goes into these products by the artists and design teams is huge. There’s such a lot of passion and innovation behind each and every doll and finally the finished products are works of beauty. The event takes place in Nuremberg in Germany each January and hotels and flights are booked a year ahead. It is known very much as the international toy fair in the which is why so many suppliers, distributors, manufacturers and buyers visit this one location on an annual basis to find products, renew contacts and develop their businesses. 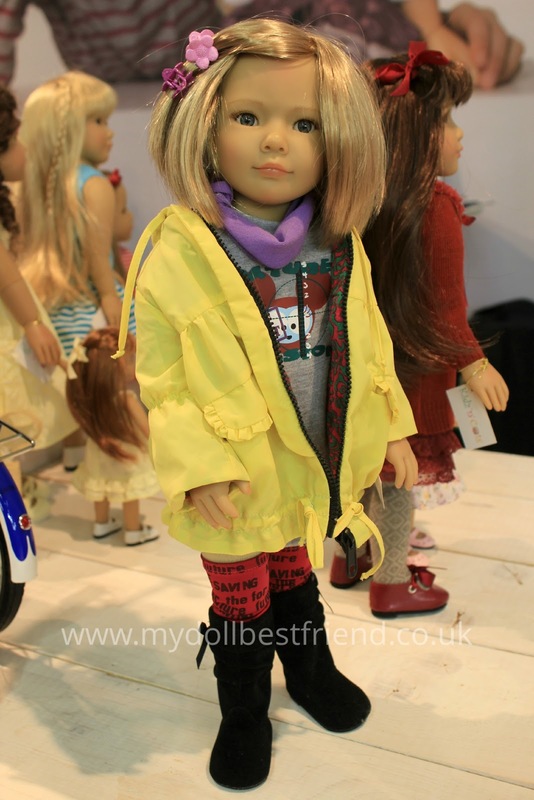 I was lucky enough to meet with all the brands I retail that were present at the show and get some very detailed information and insights, as well as many photos of the dolls. I spoke to artist Sonja Hartman about her Kidz n Cats brand and saw the exquisite new dolls for the range that not only include a new face sculpt for the taller Kidz n Cats dolls but also a new collection of Mini dolls, and large new clothing and accessories range. 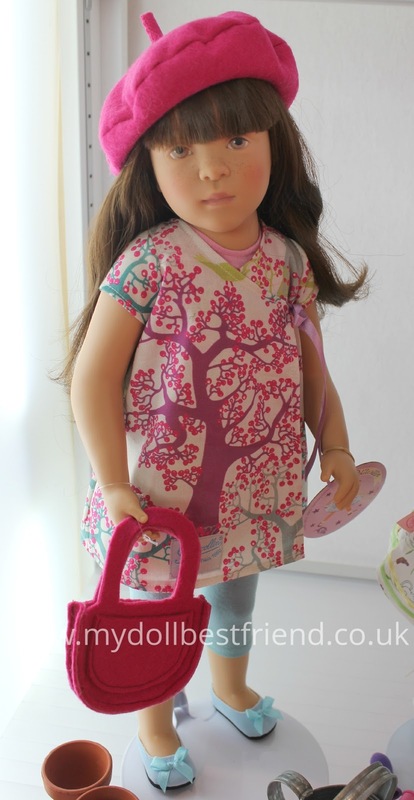 The Kidz n Cats dolls clothes are scaled down from children’s clothes patterns so dolls coats are lined and details and colours are magnificent, just as you’d expect if you were buying clothes for a child. The clothes this year are colourful and varied and the high quality of the doll materials means that it feels good value for money, which as one of the more expensive children’s play doll ranges is a very important factor. 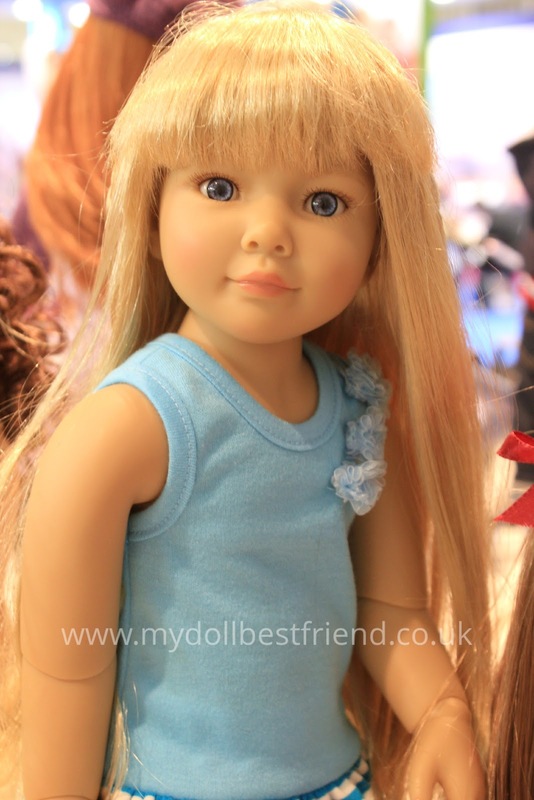 Some photos of new dolls Jennet, Julika, Robert, Lauryn and Marina follow with more to come in a Kidz n Cats feature soon. I had the pleasure of talking to Anke Gotz-Beyer who runs the Gotz company with her husband – the son of artist Hildegard Gunzel, and wider family. 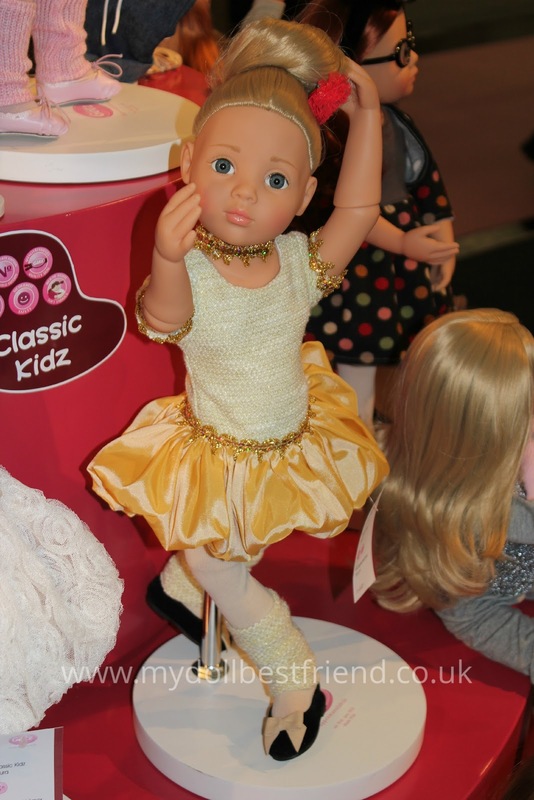 I was permitted to photograph the 2015 collection including the stunning Classic Kidz dolls designed by Hildegard Gunzel as well as the Happy Kidz, which includes new doll Katie. There is a huge range of doll accessories now available with so much emphasis on play and creativity that any child will be transported to dolly heaven – I stood in the Gotz booth and for a minute (several times) wished with all my heart that I was a child. There is fun too, lots of little fascinator hats with outfits, headbands with ears and shoes with faces! Gotz dare to try new things out, so this year sees a large plush white unicorn with hair to comb, and a loft bed with desk and chair plus a design school range of outfits – more about that later. 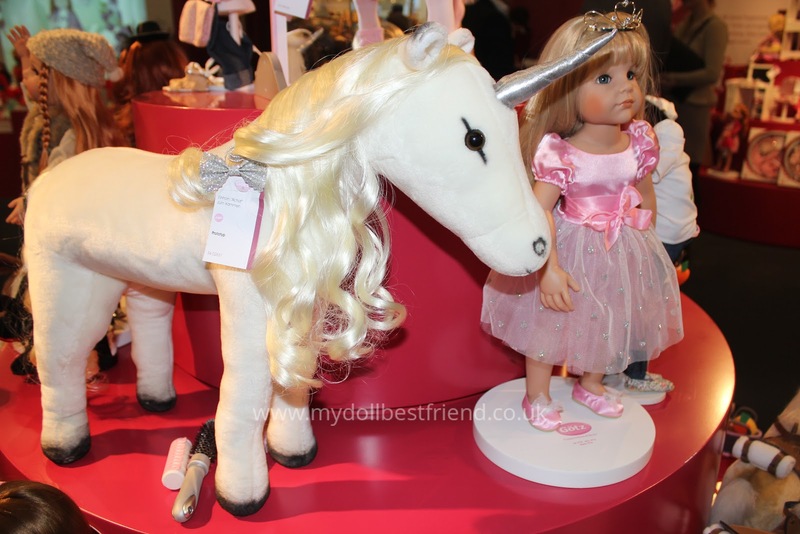 Here are a few images of new Happy Kidz doll Katie, the design competition winning doll (more about that another time), Classic Kidz Lena plus the gorgeous unicorn and loft bed. I met with Sylvia Natterer who has been a long time favourite artist of mine, and learned much about her new collection and the rich tapestry of her doll career and how she now comes to work with French brand Petitcollin. Her collection includes two sizes of doll, the 34cm Minouche and 48cm Finouche. I can tell you they took my breath away, and I wasn’t expecting that. 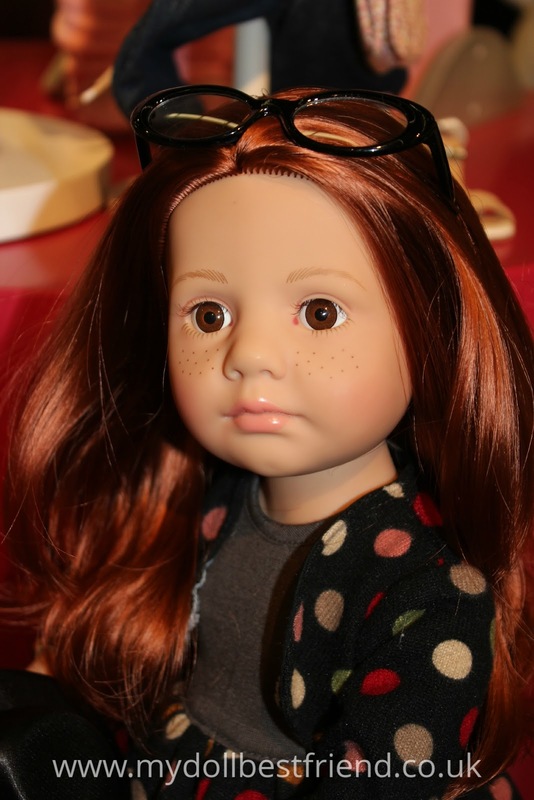 At each toy fair I visit Kathe Kruse where until recently the Sylvia Natterer Minouche dolls were made, to see the Minouche and the other Kathe Kruse ranges but I leave a little sad, without being at all moved by the dolls. This time I stood in front of Sylva Natterer’s dolls and felt a huge whoop of joy! It was a big ‘yes!’ from me which is exactly how you hope to feel about a collection or a brand when you go to a fair like Nuremberg. I’m very excited to tell you more about Sylvia Natterer as soon as I can. 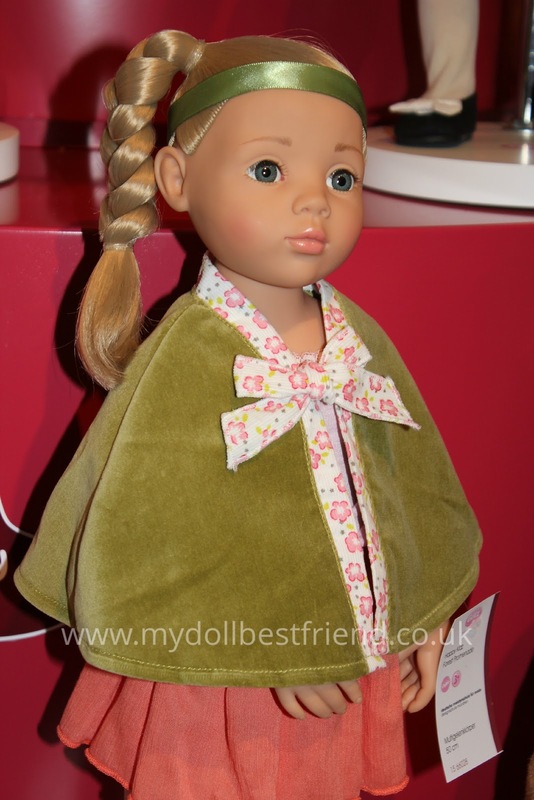 The Paola Reina booth smelled and looked as beautiful as ever, and the new collection of lightly scented dolls – the Every Girl Dolls – adds ever more choice for parents looking for a beautiful affordable play dolls to fit into the 18″ doll genre which is so popular. These dolls have armature inside their bodies so a degree of posing can be achieved. There are new Las Amigas faces like Nora below and one has closing eyes – Jasmin. 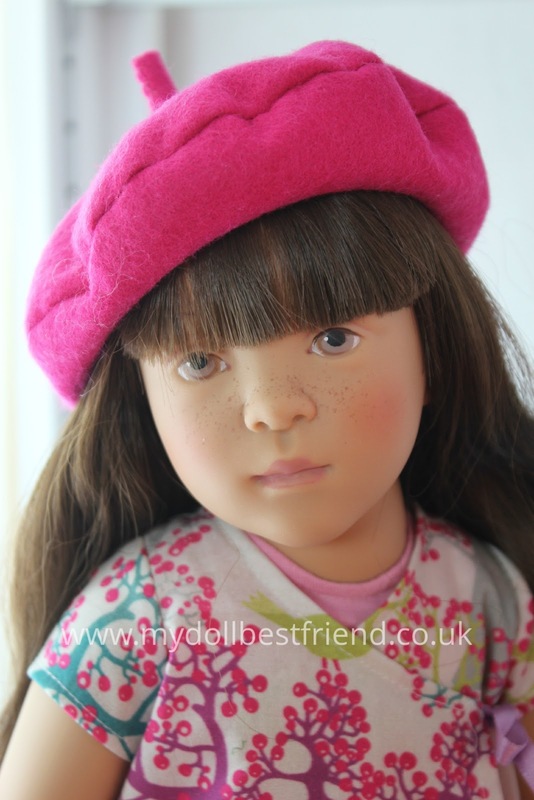 The great thing about Spanish brand Paola Reina is that many of the dolls retail for under £50 yet are made larger than other dolls that cost the same – and they are made entirely in Europe. 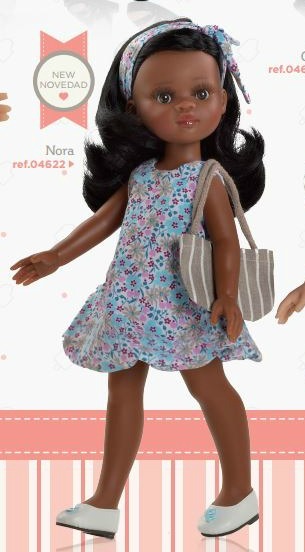 Unfortunately I don’t have real photos to show you of the new dolls, but as the Paola Reina dolls never differ from their promotional images we have a very good likeness in these. I met with the brother and sister team at Vestida de Azul who make their adorable little vinyl dolls in Alicante, Spain. The Paulina and Carlota dolls are so cute and made from such good quality materials that it was a pleasure to see the dolls and this year they wear new outfits. The doll clothing and accessories range has a heart warming feel good factor to it, it’s all mini size and maximum quality. The retail price is good at £30-£45 for the dolls and the carbon footprint is small which makes this a very attractive brand to offer. The brands will each be featured separately in the coming days and weeks with more in depth information and a lot more photographs to follow. The dolls will be added to the doll shop at My Doll Best Friend very soon, some are already available to pre-order. It would be great to read your comments on anything you’ve seen here, particularly any of the new items – and hopefully the next features will answer any questions of which there are probably many! I’m very grateful to the doll brands for letting me photograph their dolls with my very amateurish photographic skills. I think that all the brands deserve massive congratulations for the spectacular dolls they’ve created for us to enjoy this year and I wish them enormous success. Thank you Veronica – I like to see photos of the artists too! I will ask someone to take one of little ole me next time for you! Thanks Blue! Kidz n Cats have a great collection this year – Sonja's very creative and works very hard. Glad you like! Thank you Melody! We have lots to look forward to from the artists of play dolls and the brands this year – very exciting! "A picture speaks a thousand words". Great photos! My wishful aim is to collect dolls of different shape faces in the Kidz and Cats category. These dolls are so much easier to handle than BJD. Jennet will be on my next list of purchase. I love the little Schildkrot girl in the green jacket and she might have to move in here if you decide to offer them to collectors. Do they have a range of clothing? Thank you for all the photos, Maxine – potentially bad for my bank balance – but great to see. Your pics are so much more informative than the ones we get from the companies. I love the look of the new Natterers, they're gorgeous and really really like those little Schildkrot dolls by Sieglinde Frieske….oh and I like the 'real life' photo of KnC Jennet and Julika's outfit. Oh I do wish I could visit a show like this, it really must be quite wonderful to see all these lovely dolls in the 'flesh'!! Thanks so much for all the photos Maxine! Hi Maxine, unfortunately the pictures of Jamie in the snow not mine. Photos of me you get maybe later times. Zoe Sylvia Natterer's my favorite of this collection. Greetings Monika. Brilliant report and lots of lovely photos, I'm blown away by the Kidz n Cats dolls each time I see them, great to see they're being so creative on accessories and play potential too, and the new outfits are stunning. All are gorgeous dolls. Thank you for spotlighting them. Hi Magda, so glad you like them, thank you! I will be adding lots of photos to Flickr this week. Will you write about your trip? I'd love to read about it! Thanks Diana! Yes, the Sylvia Natterer dolls will be coming soon, and the Paola Reina dolls are on order too. Gotz Katie is expected first week in March. So pleased you like all the pics and you're excited! Sylvia showed me how special these arms and hands are – the dolls can hold things and they can bring their arms close in to their bodies to achieve very similar movement to jointed dolls. They're quite incredible! The Kidz were really beautiful and just what we were all hoping for – can't wait for them to get here either! Hi Thammie you're welcome, thank you! Thanks Pam! Gotz Katie looks so much better than in my photos – you'll love her when you see her! The Natterer dolls are very special and unique. Thank you Maxine for their first impressions of the International Toy Fair in Nuremberg. From Schildkröt I'm also disappointed that they no longer produce the joint dolls. Thank you Maxine, for the beautiful pictures! Kids N Cats Robert is adorable. Love him. I hope to see Paola Reina at Toy Fair this year! Too many! Too many beautiful dolls I need this year! love the natterers and agree with all you said. i wish they had 9 or 11 joints. that would tempt me. thank you so much for the pictures. can't wait for my kidz and cats to arrive. I wish I was there. The new Soy Tu doll is a darling. Thanks for giving us a taste of this amazing salon. 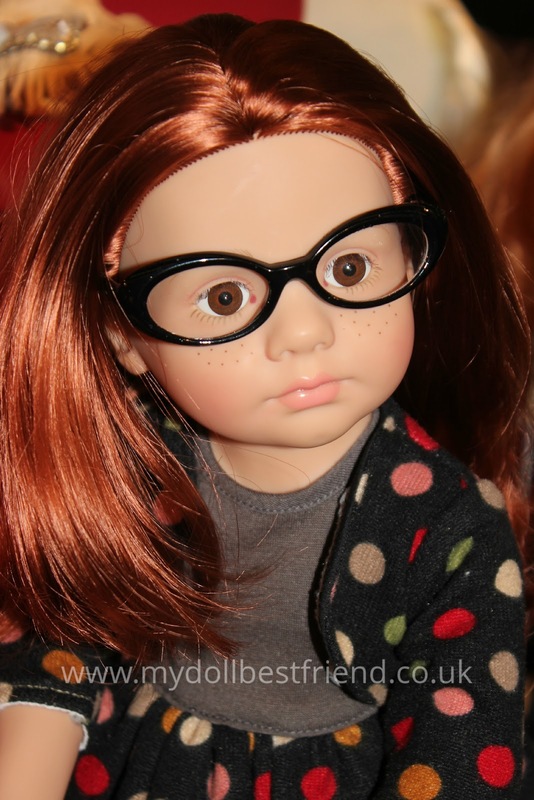 Thank you so much, Maxine, for all these gorgeous photos of the new dolls. It is going to be quite a year! I love the new Katie with her freckles and can't wait to see her for real. The Sylvia Natterer dolls look very special too. Thanks for all your hard work!